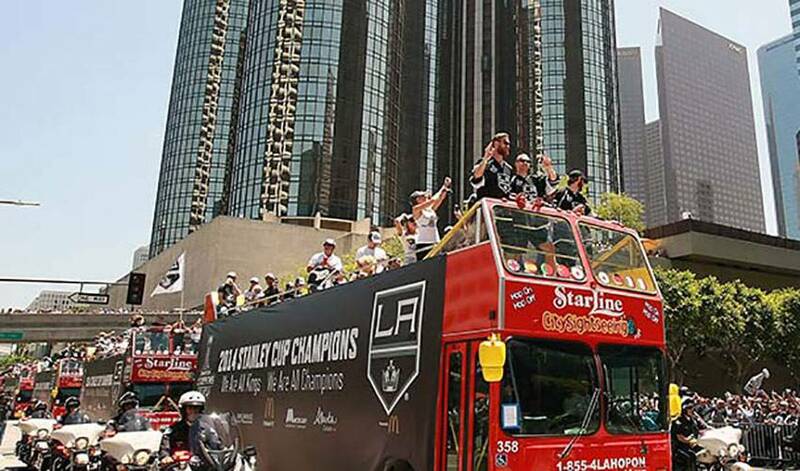 It seems everyone – at least everyone affiliated with the Los Angeles Kings – loves a parade. Two years ago, thousands took to the streets of L.A. to fete members of their Stanley Cup-winning side, including playoff MVP Jonathan Quick, who was once again stellar between the pipes. Fast forward to June 16, and it was once again a similar scene: a sea of silver, black and white, lining up to celebrate another championship. It was hardly an easy path to victory this time around. With the exception of the final, all of the Kings’ previous series went the full seven games. It was the first time in league history a team went the distance in three rounds en route to a berth in the championship. Taxing enough, but even more so considering the Pacific Division squad, who finished sixth in the Western Conference, often found themselves on the brink of elimination. Yet, throughout their Cup run, Los Angeles, time and again, found a way to fight back when the deck was stacked against them. Although the final only went five games, three of the contests against an upstart New York rangers side needed more than 60 minutes to decide the winner, a pair of them extending to five periods. In the Cup-clinching game, played in front of a packed Staples Center, it took double overtime to seal the win, the shot coming off the stick of defenceman Alec Martinez. For the players, it was a rewarding conclusion to a hard-earned victory. Those emotions were on full display this Monday, as players took their turn raising the Cup and acknowledging the fans that took to the streets. And nothing was going to rain on their parade.